A number of new technologies are combining to enable the real time collection of data, and the sharing of that data in real time with GIS. The result is a dynamic platform which enables real time visualization, analysis, and understanding of our world. This is the new age of real-time GIS. GeoEvent Processor is a new ArcGIS for Server extension. It gives users the ability to connect to real-time data streams from a wide variety of sensors, perform continuous processing and analysis of those data streams, and send relevant information to users or other systems. Geofencing is the creation of a virtual perimeter for a real-world geographic area. 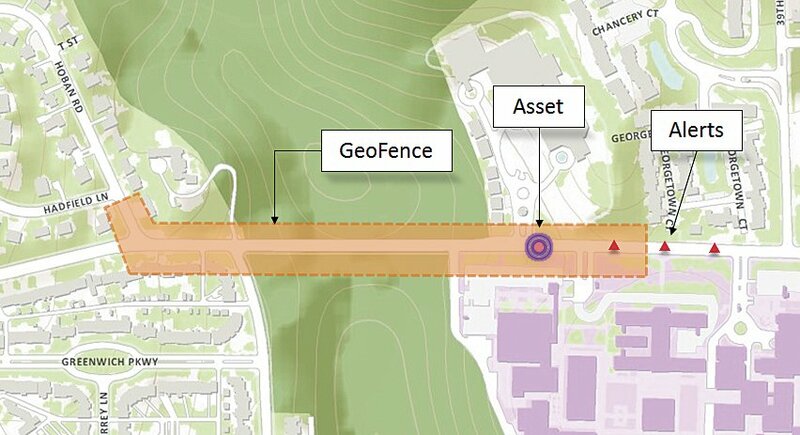 In the case of GeoEvent Processor, the GIS server is detecting and using geofences to issue an alert when a mobile device approaches, enters, and leaves the geofenced area (which can be based on any map feature). GeoTrigger technology will let developers build geofences into their apps that can be triggered based on time of day, speed, or position. This technology will be available as part of developers’ ArcGIS Online subscriptions in the second quarter of 2013. Operations Dashboard for ArcGIS provides a common operating picture for monitoring events. Operations Dashboard integrates maps and a variety of data sources to create comprehensive operational views that can include charts, lists, gauges, and indicators which update automatically as underlying data changes. Collector for ArcGIS is designed with field crews in mind, and is used to capture and update both tabular and spatial information via smartphones using the built-in GPS capabilities of the device, or by tapping on the map. Data captured using Collector can be displayed in the Operations Dashboard. Mapping social media data provides insight into what people are saying and where they are saying it. Social Media Mapping apps let you display in real time what people are saying through location-based social media such as Flickr, Twitter, and YouTube. Esri is also busy adding new features to ArcGIS Online such as Real-Time Data Services, support for GeoRSS Feeds, and more, and we are working with our imagery partners to enable the delivery of Real-Time Imagery in to ArcGIS Online just seconds after it has been captured by satellites. New types and sources of geographic content, and new ways of sharing them, provide people with exciting new capabilities to incorporate dynamic, real-time information into decision making. The result, as Esri president Jack Dangermond likes to call it, is a Living Atlas of the World—a new vision for the concept of an atlas. “It’s a kind of global gathering place for integrating and applying knowledge about our planet and sharing it with everyone—and to do it all in real time,” says Dangermond. ArcGIS Enables Real-Time GIS. ArcNews, Spring 2013. Sensor to Service. ArcUser, Spring 2013.